Happy Springtime from Kit Kat! Since Spring is Nature's New Year, it's a great time for your mini-tarot card reading to get some scoops for 2017! From 7-11pm on Thursday nights, Kit Kat's resident Tarot Card Reader, Therese Murphy, provides inspired readings for $20.00. Mini-readings are a wonderful addition to our Thursday night drink specials - $7.00 stoli martinis and $5.00 mojitos. Come in for your reading - indoors or on the patio! As always, the world famous Kit Kat Divas will be performing their fantastic shows! Also! 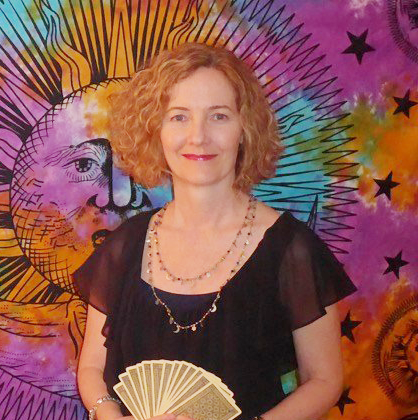 in gratitude for Kit Kat's wonderful customers, Therese is generously offering 30% off her 60 minute Tarot Card readings, in person or by phone, through June 15th. That's a sweet springtime deal! Please contact Therese directly for information and scheduling. Therese has been reading Tarot professionally since 1998 and her office is conveniently located in Andersonville (5756 N. Ridge). Therese is also available to provide mini-readings for your parties and events! contact her directly for rates and availabilities.